Recently I embarked on my new journey of knitwear designing. I’ve been a knitter now for over 40 years. Thought it might be fun to try my hand at knitwear designing. 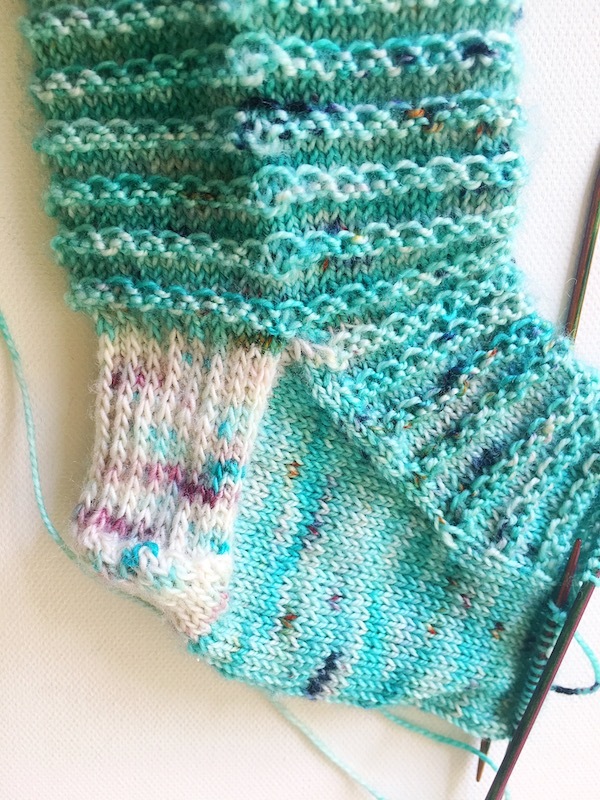 Being an avid sock knitter now for about 5 years, I chose to start with an easy sock pattern. Handcrafted socks made by myself brings me so much joy. Love the feel of the beautiful wool on my feet and the cosiness that it brings to your whole body. If you already wear your own handknitted socks than you know what I am talking about. Wanted to try with an easy pattern to remember and that a first-time sock knitter would be okay with knitting. Travelling for one year back in 206/2017 has given me so much inspiration for pattern ideas. Which lead me to want to start naming my knitwear patterns after the cities that we visited on our 12-month journey. And so this is how my first ever knitwear sock pattern got a name called BedStuy. This is named after the suburb in Brooklyn called Bedford-Stuyvesant where we stayed for two weeks this past December/January on a holiday to the USA. I started knitting up my design whilst here and thought it only apt to call it BedStuy (which is what the locals call this suburb). After knitting up my sample and then sitting down and writing up the pattern, I then had to find a tech editor. This was all new to me but was able to find one through a Facebook Group that I belong to and her name is Alison Makin. Being my first ever attempt at knitwear designing obtaining a tech editor was nerve racking. But Alison walked me through the process and made it seem very simple indeed. Then the next step once it has been edited was to find some test knitters. As I am not known for knitwear designing yet, I thought this process may be slightly harder than what it was. After creating a test knit page on Ravelry, my next step would be to obtain some test knitters. Instagram was my main port of call for this and was surprised and very happy with the response. I have sometimes thought about test knitting myself, but I am not a monogamous knitter, so would be hopeless at keeping to the deadline. There certainly are plenty of knitters out there that are willing to give it a go. It was super exciting to finally release BedStuy a few weeks ago and once it was completed it felt good. That daunting feeling that creeps up on you when you attempt something for the first time quickly disappeared. 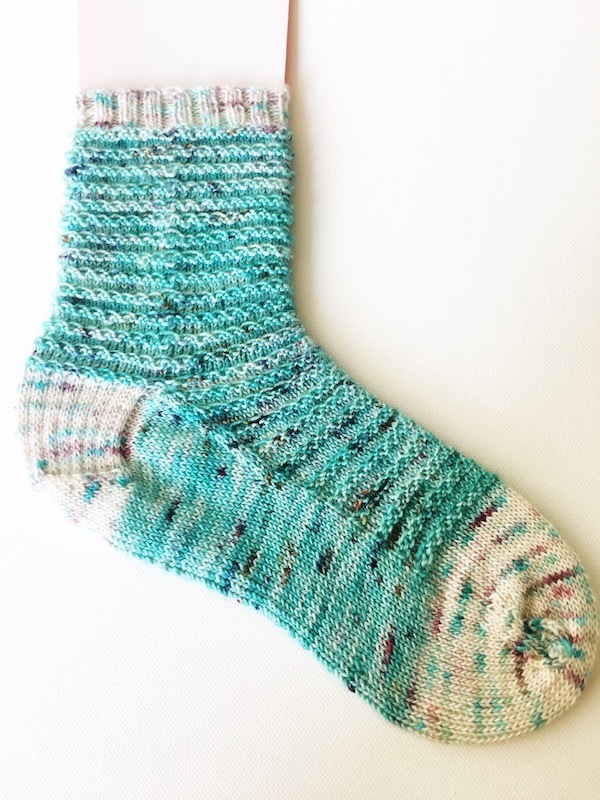 Would love it if you could go check out my first ever sock pattern on Ravelry. Now I am off to work on another knitwear design, so stay tuned… We stayed in a lot of cities on our travels so have lots of inspiration for many more patterns. I joined Woolswap on a whim last year and am now on my sixth swap. I love it. I enjoy the process of putting together the parcel for my partner based on the information received by Gayle and the communication with my partner. and once the parcel is posted the exciting wait for my parcel to arrive begins. When it arrives it feels like Christmas, the yarns are always gorgeous and a lot of thought goes into the little additions to the parcel. You connect with your partner via social media and this is also an easy way to keep in touch and follow your partner's creative journey. I can only recommend Woolswap. I was a bit nervous about joining in Woolswap but took the plunge 2rounds ago. I am so glad I did! I really enjoyed making up the parcels and finding nice things that I thought my partner would enjoy. I learned a lot and found some new online shops and made new friends. The parcels I have received have been well prepared and thoughtful. It is like Christmas morning when it arrives as you have no idea what is going to be in it. I am still in contact with my partners. If you are hesitating I would say go for it! You don't have to spend a lot, just thoughtfully. I join the Woolswap project because I realized I wanted to experience the Christmas miracle outside of this celebration. Get a surprise gift, both kids and adults love it.  It was a great pleasure for me to write to my Woolswap partner to plan what to add to the packet to send. As part of the project, when I received a sermon, I had the opportunity to test the yarn I hadn't used before.